Are you looking for a space-saving and affordable solution to your forklift needs? As the world is becoming increasingly driven by technological advances, greater demands are being placed on businesses to enhance their productivity and make the most of all the resources available to them. There is absolutely no scope for inefficiency in the business environment of today and companies must maximise profitability in all corners of their organisations. Of course, this must include the warehouse environment. Would any of the below benefit your company? Do you want to increase the capacity of your warehouse? What is the most effective way to maximise the profitability of your warehouse? Increase the capacity. If you can fit more into your warehouse, you can fit more into your company’s pockets. But as we continue to pack our warehouses with more and more stock, this forces our aisles to become narrower and narrower. This is fine up to a point, but aisles can only become so narrow before this can begin to jeopardise not only the smoothness of vehicle handling but also the health and safety of our forklift operators. We have the solution to this conundrum. The simplest and most effective way to increase the capacity of your warehouse is to invest in narrow aisle forklift technology. Flexi narrow aisle forklifts can work in aisles that are as narrow as just 1642mm and this means they provide the perfect solution for warehouses that require more space or an increase to storage capacity. In comparison to the capabilities of the traditional moving mast reach truck, a narrow aisle Flexi truck can provide up to 30% more storage space within the warehouse environment. Additionally, Flexi trucks need no further clearance between the first pallet rack beam and the floor, to account for the reach truck’s stabilising legs. Furthermore, the Flexi forklift can work in an outdoor environment just as efficiently as the electric or gas counterbalance. This one truck can master jobs which would previously have required two trucks to complete. 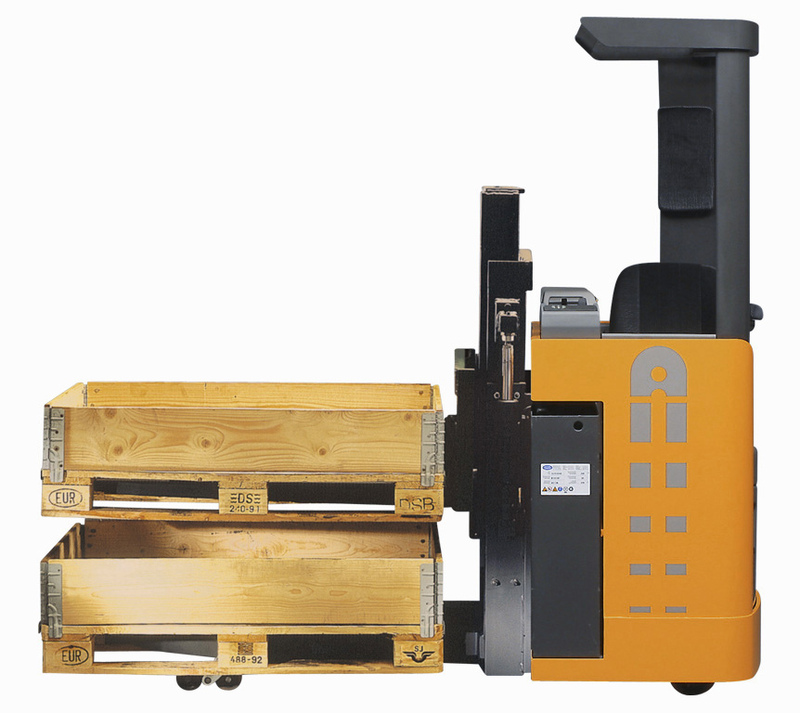 The Flexi truck eliminates the need for double handling and can provide a reduction in handling costs of up to 50%. With narrow aisle forklifts, you will increase capacity manifold along with a number of other key benefits. Primarily, your warehouse will benefit from the enhanced handling of vehicles. This has numerous benefits for forklift operators and consequently many benefits for the warehouse and company. With the Flexi forklift, your warehouse will also benefit from the improved safety of the forklift operators. Not only that, but all of this is available as an affordable solution via Fork Truck Direct. Are you struggling for warehouse space? In days gone by, traditional forklift trucks were fitted with forks that faced forward, meaning that the forklift operator would have had to conduct tight and delicate manoeuvres in order to pick and place pallets accurately. For the forklift operators to be able to complete these sorts of manoeuvres, the aisles would need to be a minimum of 11 feet wide, necessitating very large warehouses and more designated space per stock item. How can the Narrow Aisle Flexi Truck help? On the Flexi truck, the forks are fitted to the sides of the vehicle, meaning that models are now available that can manoeuvre in aisles as narrow as five and a half feet wide. With a narrow aisle forklift, the operator will stand up rather than sitting down. This means that the width of the vehicle can be significantly reduced as the seat has been removed from the design. In addition, this provides health benefits for the operators as studies have shown that sitting for extended periods can cause damage to your health. Not least to mention, standing upright in the Flexi truck will reduce the strain to the spine and lower back that would have been suffered as a consequence of the sitting position adopted to operate a traditional wide base forklift truck. If you are looking at converting your warehouse space from the previous average of aisles of 11 feet wide, this means that by using narrow aisle Flexi trucks you could more than double your warehouse capacity. Whether that leads to a comparable doubling of productivity and profitability remains for you to discover, but the new machines can fit into and manoeuvre within spaces that it would have been impossible for the older style machine to do so. With effective and efficient next generation AC technology, Flexi trucks will revolutionise the way you think about warehouse solutions. Would your company benefit from trucks that are smoother to handle? Flexi forklifts offer handling that can be accomplished more smoothly and with far greater ease. This will no doubt be welcomed as a blessing by truck operators and it will mean they are able to do their jobs more efficiently and with fewer difficulties. The design of the truck is such that getting onto and off the vehicle is much quicker than with the more traditional wider models. As the operator will be in a standing position on the Flexi forklift, this means they can simply step on and step off the machine. This is a much smoother process that couldn’t be undertaken with the bulky seats of old. Another way in which the handling of the narrow aisle trucks runs more smoothly is because there is no turning of the vehicle required. Due to the forks being placed on the sides of the truck, this means the operator can complete their picking and stocking duties without navigating complicated turning manoeuvres that could easily result in damages or breakages to the warehouse stock and environment. These risks are greatly reduced with narrow aisle forklift truck technology. Another benefit to the standing position adopted by the operator of the Flexi Narrow Aisle Forklift is that they will have a better view of the warehouse from their elevated position. This will mean that picking is easier for the operator and they are able to achieve the more accurate placement of stock. The vehicle platforms can be raised to greater heights meaning operators can view the very tops of many shelves. In order to further enhance the smooth handling of the trucks, forks can be added that will aid in the picking and stocking methods of telescoping and scissor actions. This means the operator will be able to pick and stock two-deep pallet storage. By attaching a telescopic reach fork to the truck, your company can save even more time, space and money. The truck’s ability to extend and retract will further enhance your operator’s ability to manipulate double-deep stacking, increasing the storage volumes in your warehouse too. This addition to your narrow aisle forklift can increase warehouse capacity by up to 30% compared to the single stacked environment. It remains for you to discover how this translates into profitability. Another way to enhance the smooth handling of your important warehouse operations is to add a scissor lift facility to your trucks. Scissor lifts allow very smooth lifting and transporting of stock and are ideally suited to the transferral of stock between levels in your warehouse. The adjustable or rotating load platforms that are available on a scissor lift can enhance the ergonomics of many warehouse stock operations. This means that not only will your truck operators benefit from the smoother handling provided by the trucks, but they will also benefit from the increased safety of the narrow aisle forklift and the health benefits of handling a more ergonomically designed truck. Is the safety of your warehouse a top priority for your company? To summarise thus far, narrow aisle forklifts are an innovative design solution that could potentially increase the capacity of your warehouse manifold and enable much smoother vehicle handling for your truck operators. Furthermore, Flexi trucks can improve the safety of your warehouse and the safety of the employees that work within it. The suspended platform absorbs shock which successfully protects the operator’s back and spine. This is an essential benefit. Protecting the back and spine is important for everyone but particularly employees working in physically demanding roles and environments such as warehouses. Sitting for long periods can negatively impact the health of your back, so being able to operate the Flexi forklift from a standing position will improve the health and safety of your warehouse operators. Why Flexi? The Flexi AC Truck Range provides all of the below features. So what are you waiting for? If your company could benefit from a space-saving and affordable forklift design solution, look no further. Flexi narrow aisle forklifts are the answer. To receive these benefits now, don’t hesitate to contact us at Fork Truck Direct to request a quote.